Some paper is meant to be kept. Take comic books, for example. Volumes and volumes stored within long comic book boxes for posterity's sake. Keeping these marvelous stories safe and sound for future generations is prudent. In recent years, comic books have become more and more popular and important. This can be reminiscent of the Golden or Silver age of comics from the 50s and 60s. There are other types of paper that don't necessarily have to stick around for too long. Paper in the workplace doesn't necessarily have to take up space. Most workplaces need as much space as they can get. Instead of storing old, outdated boxes of paper in a room, consider shredding services from Sun City Shredding! Let's face it: paper isn't what it used to be. Gone are the days when paper was the end all be all for documenting. Now, paper is used less and less. But it still remains within the workforce. Although the world has yet to completely rid itself of the use of paper, it's quickly arriving at that juncture. Odds are you can find a few boxes of incredibly outdated paper in the office storeroom. Throwing away this paper can be difficult. Instead of asking your employees to take time out of their busy workdays to shred and dispose of paper, you can hire a professional team to come in and do the hard work for you! 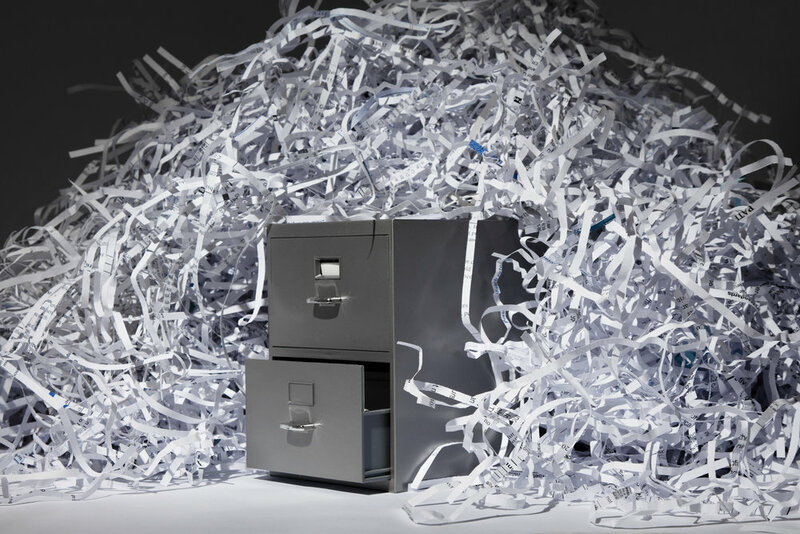 Paper shredding services take the stress out of any cramped work space. By hiring a professional team, you can feel confident in knowing that all the excess paper will be disposed of properly. In fact, much of the paper can find a second life through recycling and such. Not only will you be freeing up space in your office, you'll also be able to help the environment by recycling the paper efficiently. Instead of letting the paper take up important space, you can do your part in helping the environment and your work space. Who would've thought all that paper waste could live a life beyond the storage room? Choose Sun City Shredding, Today! If you're in the El Paso area and you require paper shredding services, choose Sun City Shredding. We've been serving the city with shredding services for many years and we'd love to offer our services to you! We will come to you and tend to any paper waste quickly and efficiently. Contact us today to learn more about what we have to offer!